Business attorney Robert G. Klein has been resolving corporate disputes since 1987, and he has been running his own firm since 1994. As a Los Angeles business attorney, his goal is to help business owners preserve the success that they have earned through hard work and ethical behavior. Being a Los Angeles intellectual property rights attorney, he handles cases involving intellectual property rights, such as trademark infringement and copyright law, and other matters where a business’s reputation and success is threatened by another company’s unlawful or unethical acts. He has been practicing as a business lawyer in Los Angeles CA offering Free Consultation to clients. He also assists with general business transactions, and he provides valuable legal advice for companies of all sizes. He is practicing business law at one of the best Los Angeles business law firms. 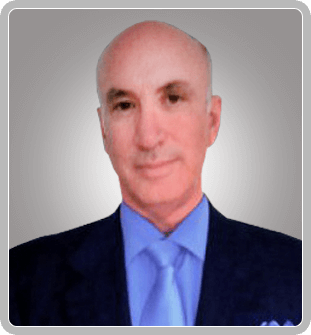 Robert G. Klein is a highly experienced intellectual property rights lawyer, Los Angeles, CA who handles multiple business litigation cases throughout the state of California. In present times, when millions of people are under cyber-attack, it is imperative to have an intellectual property rights lawyer by your side, who knows how to preserve your business secrets. Hence, when your business is under attack, you need a trusted name in business litigation. In such situation, Robert G. Klein is the apt choice, as he has the decades of experience as an attorney as well as a former CPA. He is fully aware of the financial side of the business operation. Whether you need a business litigation attorney for a single case or throughout your company’s lifespan, Robert G. Klein is known for finding creative solutions to complex business lawsuits. Everyone has a right to protect what’s theirs. In the age of the globalization where everything has been digitalized, it is very easy to steal someone hard earned work and sell under your business stamp. Therefore, to protect what your company asset it is advisable to have a Los Angeles CA business attorney by your side, which is well aware of the intellectual and legal complexities. Also, if you are starting a business and want to make sure that you are following the law in letter and spirit, then Klein can help you in explaining the process of business incorporation, and other associated tasks. Robert G. Klein is one of the leading Intellectual Property Rights Lawyer, Los Angeles, CA, and its suburbs. For the past two decades, Robert G. Klein is providing their legal services to a large number of people residing in California and helping them in obtaining intellectual property rights, such as trademark infringement and copyright law, and other matters where a business’s reputation and success is threatened by another company’s unlawful or unethical acts. He also assists with general business transactions and provides valuable legal advice for companies of all sizes. The reason why Robert G. Klein, an Intellectual Property Rights Lawyer, Los Angeles, CA, is the right choice for you because of the following underlying distinctive features that make us stand out from our competitors. Robert G. Klein handles everything his self, and do not delegate things. Compassionate as well as concerned attitude towards clients, as clients come first! Precise talk, as time is the fundamental factor to consider in such sensitive cases. Every single second is valuable. Honest and updated advice in the best interest of the clients. Protecting your business reputation, and put a stop to harmful business behavior. 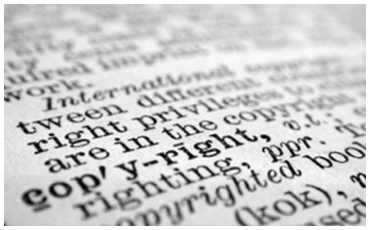 How An Intellectual Property Rights Lawyer, Los Angeles, CA Can Save You From Intellectual Property Theft? Every business litigation case and client is unique. Each case has its unique facts, evidence, circumstances, allegations and more. Some intellectual rights cases are resolved quickly, while others may take months or even years. Therefore, it is frustrating for clients and their families to wait, wonder, and are uncertain about business litigation proceedings. Hence, looking for a best Los Angeles CA business attorney is the right thing to do in such legal chaos. Robert G. Klein is the one, who always make sure to fully explain the legal process and guide you through every step of your case so that you have a clear understanding of your case. Business litigation attorney Klein takes a hands-on approach to all of his cases. Further, considering the sensitive nature of the case, he refuses to delegate your case to someone else. Being a former CPA, he understands the financial components of a successful business, as he appeared in more than 70 courtrooms. Robert G. Klein is no stranger to litigation. He professionally handles claims against other companies; defend against accusations of illegal behavior and appeals against unsatisfactory outcomes. A trademark infringement highlights the illegal use of exclusive rights attached to a trademark. Sometimes it refers to the violation of any trademark usage without the authorization or agreement of the trademark owner. Moreover, another party uses a trademark which is similar or so identical to the actual trademark that it causes confusion to the owner of the actual trademark. In such a situation, it is important to have an intellectual property rights lawyer by your side that can help you avoid such confusions. Also, in the event of violation of the law, he can refer your case to the competent authority. An unfair competition defines the practicing of a deceptive or misleading business which causes monetary damage to different organizations or to consumers that can be their competitors in terms of sale. It adds various zones of law including acts by one contender or many competitors that might hurt one another in the field. This may lead to criminal offenses and at times loss to their own business. Business torts which are also known as economic/monetary torts are the negative acts performed intentionally or sometimes due to negligence or recklessness of the business elements resulting in financial misfortune. These are not criminal offenses; however, some business torts might be charged as such. Therefore, companies which are fiscally harmed through deliberate or careless demonstration of another business or individual might look for money related harms in the common court. 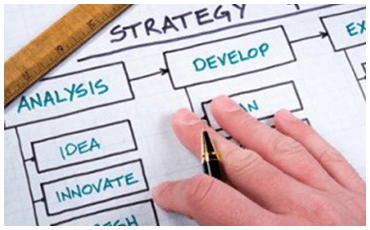 Bottom line is, it is strategically significant to discuss your intellectual property rights case with our experienced and seasoned Los Angeles CA business attorney, call Robert G. Klein, CA. We have a team of experienced attorneys who assist people in the unfair competition, business torts, and breach of contract, contract infringement and patent infringement and much more. 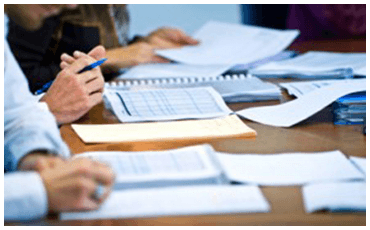 Therefore, it is advisable to hire a Los Angeles CA business attorney, who can help you and your family in getting out of this legal complex situation.